Originally constructed in 1886 after a fire had destroyed the original theatre located on the corner of Main and Broadway, the “new” Opera House, designed by Oscar Cobb, opened its doors on July 19, 1887, and quickly gained a reputation as one of the most well-designed and well-equipped theaters in the nation. By the late 1960’s the venue had evolved from a grand theatre to a Vaudeville house and finally a movie theatre. It was scheduled to be destroyed when an esteemed group of local philanthropists established The Opera House Fund to raise the necessary funds for the city of Lexington to purchase and restore the historic structure. The facility is owned and managed by Lexington Center Corporation. The distinctly 19th-century ambiance is one of the most charming features of the restored theatre. 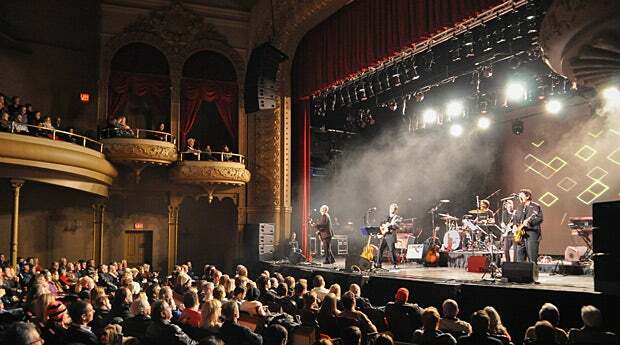 With less than 1,000 seats, the venue currently serves an average of 85,000 patrons annually and remains a premier cultural destination in downtown Lexington. Programming at the Opera House offers something for everyone: ballet, opera, children’s productions, family shows, comedy, music, and professional national BROADWAY tours! Our Celebrity Portrait Gallery – located on the First Balcony features photographs of artists who have performed at the Lexington Opera House since the original restoration in 1976. Show posters and historical memorabilia are displayed in Pardy’s Pub – the lower level of the theatre.